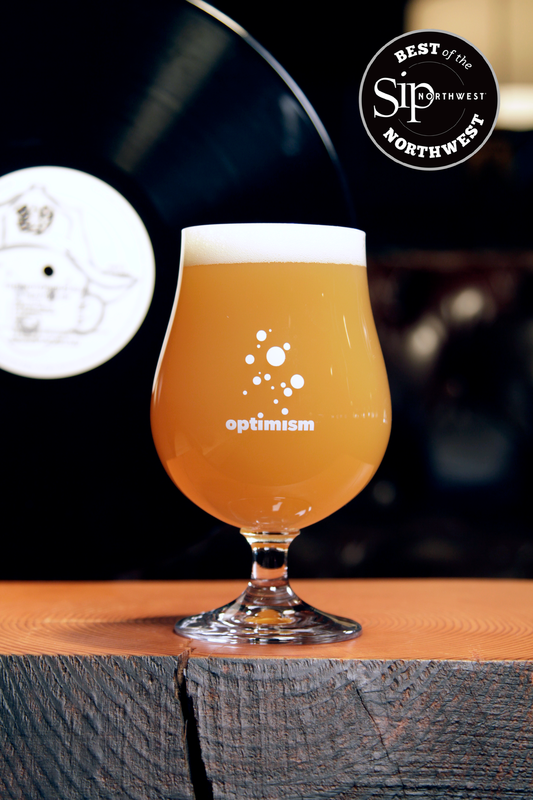 We first released our hazy N.E. style IPA under the name, "B.I.G. Juicy", as a nod to the Notorious B.I.G. 's optimistic hit "Juicy." We love Biggie's focus on hard work and artistic integrity. We found out later that our friends and neighbors at No-Li Brewing1 make a beer called Big Juicy, so we renamed our beer to avoid confusion, but kept the abbreviation motif, because we just like it. What does it stand for? Beer is Excellent. All day everyday for everyone that loves beer and for all those that don't know they do yet. This beer appeals to everyone and has been our best seller since it joined the menu. The New England style is relatively new and not well known outside of beer geek circles -- do you know the difference between West Coast and Pacific Northwest Style IPAS? More importantly, this beer is beloved all over the world, and can't be limited to one region.